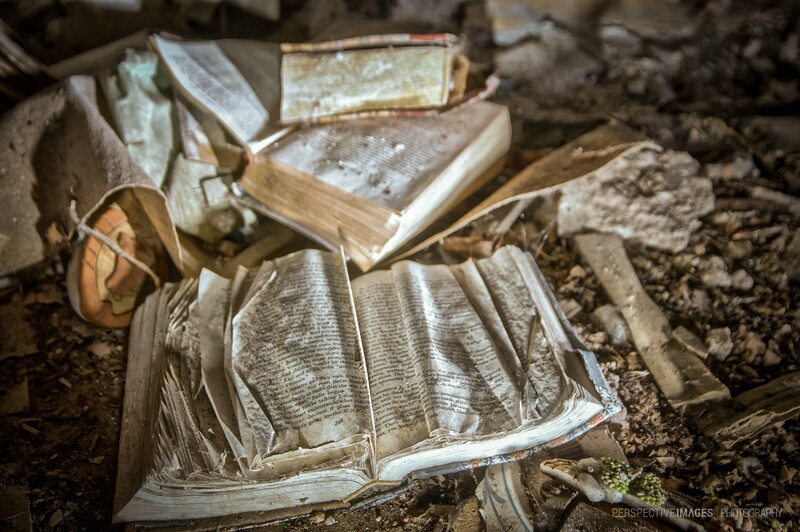 Children’s books lie crumbling in the dirt at an abandoned orphanage. Not much remains of the structures on this property, the most of the buildings have either collapsed or salvage crews have stripped anything of value. But here and there small clues of what this place was emerge from the debris. Feels like I am exploring that space with you together.